The rapid rise in the implementation of technology in businesses, has given rise to innumerable number of opportunities, for an existing employer, a potential employer as well as an employee. More so for a potential employer or a startups company that is commissioned by founders or entrepreneurs, in search of a scalable business model. Having said that, there is innumerable number of challenges, any startup company faces, right from its inception stage. To quote a few, there is competition, risk management, financial planning, sustainability, culture and leadership. But the biggest and toughest of all challenges, Startup Companies face is recruitment or finding the right mix of talent for the right job. The recruitment process, also called as the process of hiring the right candidate, is a difficult process, not only for a startup, but even for established bigger organizations, when they think about expanding their business horizons. You don’t build business; you build people who in turn build the business. This statement augurs well more for startup companies as they begin from the scratch. Hiring the best is the most important task for a startup as hiring a wrong candidate can make or break any startup. Why is the recruitment process important for a startup company? As discussed a little earlier in the article, recruiting has always been challenging and tedious process start-ups. Read on to find why this process is so critical. The most important and crucial factor for a startup is to develop a proper a complete company profile. In addition to this, since the Internet plays a crucial role in decision making, in any type of a scenario, the presence of a startup company, online is of paramount importance. These two factors, i.e. the online presence and a strong public profile, can be very influential, in a giving the startup company, that all important momentum. Parallely, aspiring employees also tend to find out more about, the idea your start up is advocating. Hence, as a start-up, the best chance for the organization to generate that all important first impression and build a strong and positive employer brand is at the very beginning itself. It is not only easier to do starting with a clean slate, but an employer brand brings about many benefits for your company as well. A proper and complete hiring process helps in creating that all important identity for the startup company, in the market. Other than hiring new employees, recruiting is also definitely a form of publicity and marketing strategy. The market presence can have an immense effect on the chances of a startup and hence a startup should take this chance to focus on recruiting and indulge in building a brand that will be well-liked. One way to do so would be to be transparent about the company’s recruitment process with potential candidates. It is of paramount importance that a startup hires individuals who have a strong will to perform, under any given circumstances. Given that it is a startup, challenges cropping up in the beginning can never be under-estimated. The recruitment process should be an attractive process with an innovative selection process which can motivate a potential employee to choose to work for your organization. According to a report, 46% of new hires fail within 18 months. A start-up should ensure they do not fall under this category. Inadequate recruitment at first would lead to inadequate recruitment in the future. Hence, the initial hire should be flawless and set a good example for the future recruitment. With an understanding of why startups need a proper recruitment process, it would be interesting to know, how startups exactly do that. Read on to know more. There is no greater intelligence than the use of common sense. The skill factor plays an extremely important role in finding out whom you need and in which position. Most of the startups depend upon employee referrals, professional networks and finally on recruitment agencies, in that sequence. Amongst these methods, the process of hiring through employee referrals, gains more prominence as it brings a certain degree of certainty, to close the positions available. 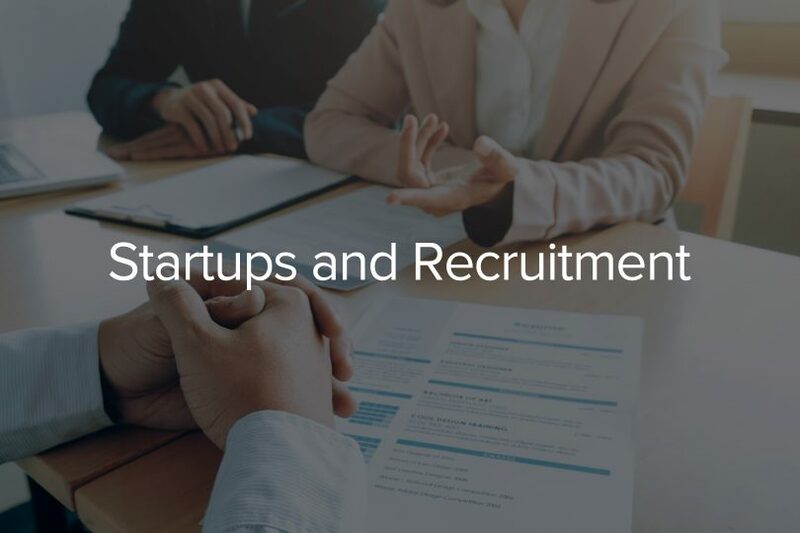 This way, the startup company do away with seeking prominent references which is a common step followed by all organizations, during their recruitment processes. More often than not, it is considered that technical skills are the deciding factor, for any startup, to finalise the right candidate. In reality, that is not exactly the basis on what a startup company, finalises any candidate. For a startup, work experience is considered as the top factor in hiring, followed closely by cultural fit and then, education. Startups look to people who can adapt to their culture. Moreover, a candidate who can fit into a startup scheme of things is more preferred than the one, who quotes a corporate background as his back up. Though a decent salary is the ultimate objective of any potential employee, in choosing a Startup company, it is a surprising factor that only 10% of the startups rely on this basic and prime necessity while recruiting. Instead a majority of the startup companies have begun to rely on interesting and challenging tasks, a strong team and corporate culture flexible hours and the most attractive of all, remote working flexibility. It’s not just about hiring the best for startups. It’s also about retaining the right talent which, by in itself, is an even greater a challenge. Most of the startups in question choose the path of hiring as the source to retain. 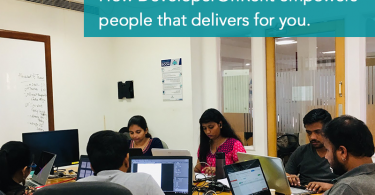 Here again, facts reveal that most of the Startups keep software developers motivated by making them being a part of strong and seasoned development teams, providing a challenging work environment, opportunities to multi task and above all, a measured performance rating. Every Startup company starts small with bigger dreams. With technology changing gears by the end of every day, there is no choice for a Startup company than to keep in quick pace with these fast paced changes. The early years are definitely unpredictable, but startups do their bit in using intelligence to lure employees who can stay on for a longer period. Startups offer more autonomy than larger companies, which can be their USP. 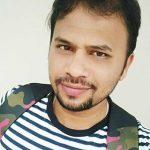 In addition to these factors, the most important factor that impresses any software developer, when he/she is fresh in a new company, is some independence. One of the draws for software developers is that they won’t be micromanaged at a startup. 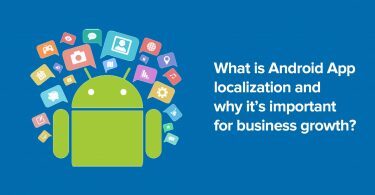 What Is Android App Localization and Why it’s Important for business growth?